Do you lack privacy in your apartment? One of the most valued features of owning your residence is having privacy. But it’s sometimes difficult to be sure if you have complete privacy in your apartment. If you can hear your neighbors, you can imagine they can probably hear you as well. Why do the walls of your apartment seem so thin? Well, there’s nothing that requires that your building owner use soundproof materials when building the apartment, and it’s an extra expense that many building owners probably choose to avoid. Since you often share your walls with your neighbors, this means easy transmission of sound from one apartment to another. But you don’t have to live with this lack of privacy. With the proper soundproofing materials, you can make it so that your neighbors’ conversations and sounds won’t bother you, and you won’t have to worry about them listening in on your conversations or bothering them with your noise. Greater privacy: By stopping noise before it transmits from your apartment to those adjacent to you, you dramatically reduce the likelihood of neighbors being able to hear your conversations. Better quality of life: The sounds of noisy neighbors can be extremely irritating, especially if they keep different hours from you. Soundproofing means you no longer have to be bothered by noisy neighbors or loud street sounds. 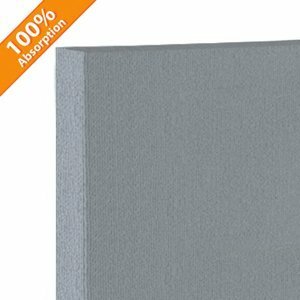 How do I know what type of soundproofing I need? First, what are the most intrusive noises you are hearing? For example, are you most bothered by street construction? Neighbors chattering? Traffic noises? Dogs barking? Second, where is the biggest problem coming from? Are you unable to hear the TV in your own apartment because of poor sound quality? Are you constantly hearing conversations in the hall outside your apartment? Do you hear people stomping their feet on your ceiling in the middle of the night? Knowing WHAT and WHERE you’re trying to block or improve with respect to sound can make your soundproofing decisions much easier. If your issue is with the quality of sound inside your apartment, you want sound absorption products, which dull ambient sound so you can focus on the sounds you want to hear. If your issue is with being overheard or with intrusive noises from outside, you need apartment soundproofing products. If the troublesome sounds are coming from above, ceiling acoustical treatments are the answer. If they are coming from below, it’s floor acoustical treatments. 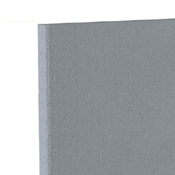 If they are coming from the same level, wall acoustical treatments are probably what you need. For complete protection against unwanted sounds, you may want to invest in multiple apartment soundproofing materials. 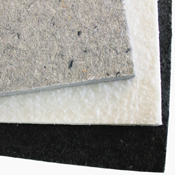 Choosing the right product for your soundproofing needs. Be sure to talk to your landlord or property manager before installing soundproofing, as this may violate the terms of your lease. If soundproofing is not permitted, solutions like thick area rugs and thicker curtains may help. Assuming you are able to use soundproofing products, choose sound absorption products to control and enhance acoustics in your space. 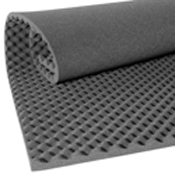 Choose soundproofing products to prevent sound from coming into or leaving your space. Whether your apartment is still under construction or already complete, we have soundproofing materials that can suit your needs. If you are a builder looking for apartment soundproofing to make your building more desirable and give you a boost over the competition, contact Soundproof Cow now! 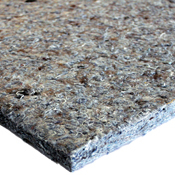 The best time to install our soundproofing material is during the building or renovation process. 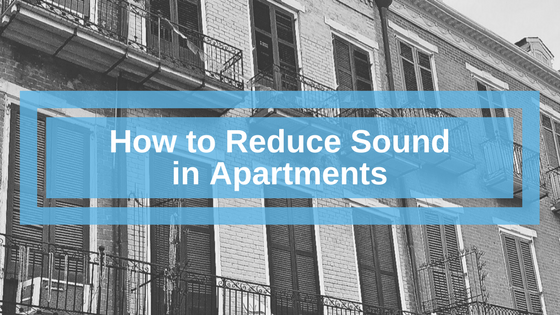 Tenants may love their new apartments and not even realize why when you add sound absorption products to eliminate harsher noises and improve sound quality in their units. Udderly Quiet™ Fabric Covered Foam 1"
Udderly Quiet™ Fabric Covered Foam 2"
If your apartment building’s rules are strict for modifying your rental property, consider window treatments. 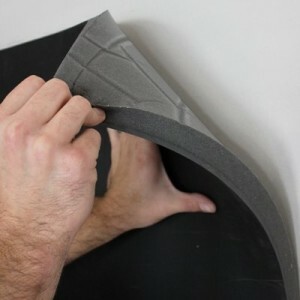 Window “plugs” can be assembled using Soundproofing Composites. A window “plug” is able to be inserted into most widows and removed without causing damage or risking your security deposit. Door sweeps are an effective tactic for creating a soundproof apartment. If your landlord allows you to place screws in your door, you’re well on your way to installing a door sweep. Our door sweeps aren’t your typical foam and vinyl seals. They’re heavy duty aluminum, which makes them more durable and reliable. 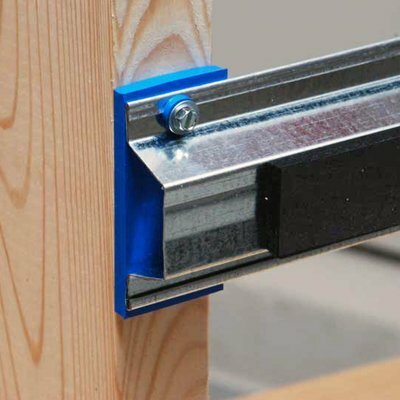 Installing a Soundproof Cow door sweep is simple — just measure, place and screw. Don’t have a cane to bang on the floor at your noisy downstairs neighbor? Buy a carpet runner instead, and you’ll save yourself the extra effort. Soundproofing Underlayment is typically installed under the flooring. However, Large area rugs can cover underlayment and help block noise coming through your floor. What’s great about acoustic panels is that they’re stylish, yet functional. 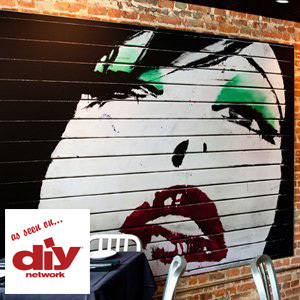 Not only are you blocking noise from your next-door neighbor, but you’re also adding some décor to your apartment. With our selection of fabric-wrapped art and perforated wood acoustic panels, you’re bound to find one that meets your design needs. A fabric panel is also perfect for pinning your daily calendar, and it’s easy to install with various mounting options. If you’re wondering what white noise is, don’t worry — you’re not the first, nor the last, to ask. Do you listen to music to fall asleep? That’s white noise — sounds that are calm and consistent. That’s why they help you sleep and even relieve some stress. In situations with noisy neighbors, white noise helps by focusing your attention on those sounds, rather than your neighbor. Set up your iPod and play soothing music or turn on a fan to create your own natural white noise. Bookcases not only store your mini-library in a convenient area but also serve as a resource for reducing noise in your apartment. Place them against your wall next to one of your acoustic panels and you’ll likely notice an overall difference in your noise levels. 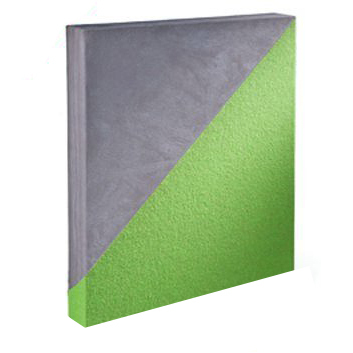 They are also a great way to cover sound barriers without major construction to your wall. If you need help with creating a soundproofed apartment, our herd at Soundproof Cow is ready to help. Take our Soundproofing Questionnaire, and we can help you narrow down which materials would reduce your apartment’s noise levels. 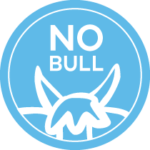 If you’d just like to stay in the loop on soundproofing, you’re welcome to subscribe to our Bull Bulletin. It keeps you updated on the latest news on soundproofing and studies on noise pollution, conveniently delivered right to your inbox.